& Free In-Home Service Checks on Our Products! Established in 1924, Aerus Electrolux has been committed to bringing you the highest quality products and service for over 90 years. We specialize in central vacuums and standard vacuums, helping maintain clean and healthy surroundings for you and your family. Since its founding days, Aerus Electrolux has been the premier service provider for vacuum repair in Charlottesville, VA. We have a legacy of unparalleled customer service and products you can rely on. Our goal is to deliver innovative products that are certified to top safety standards and will exceed your expectations. Along with top-quality vacuums, we are committed to bringing you superior customer service. At Aerus Electrolux, we strive to make our brand synonymous with customer satisfaction. We want you to be a customer for life—it’s why we deliver good old fashioned service, every time. One of our specialties is central vacuum systems. These effective cleaners are built directly into your home. They provide a powerful vacuum with a larger motor, better suction and quieter operation than a standard vacuum. Plus, you’ll no longer have to lug a large vacuum unit around your house! As your full-service vacuum store in Charlottesville, VA, we also offer upright vacuum repairs. We offer free pickup and delivery and free in-home service checks on all our products. 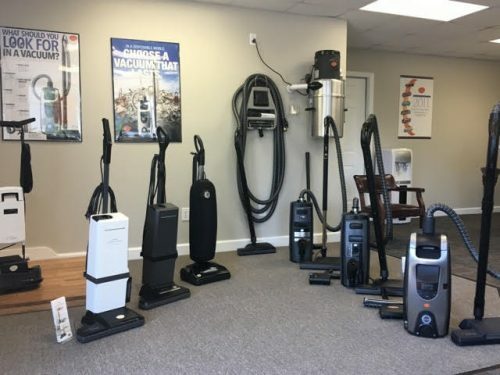 Our expertise in all makes and models of vacuums makes Aerus Electrolux your go-to source for vacuum repair in Charlottesville, VA. Contact us today to start taking advantage of our many effective products. We have been America’s Healthy Home Experts for over 90 years. We offer in-home service to keep your repairs as convenient as possible. Our expertise includes all makes and models of vacuums. We are fully committed to delivering excellence in customer service, every time. Our vacuums are top-of-the-line and certified to high safety standards. Contact the cleaning experts at Aerus Electrolux to enjoy the ease of a new central vacuum or to receive expert repairs on your current unit. "Brandon, the service technician, just called me to check and make sure I was satisfied with his work and with my vacuum. Mysteriously, the l..."
"What a professional staff!! Everyone from the owner to the service manager to the sales staff had answers to every question I had. They all ..."
"We have had the best experience with this business, it’s owner, and all associates. They have gone above & beyond in service to us. I have..."
"Excellent service and sales. Very caring NEW owner always willing to work with you for the best deal." "Excellent service and sales. Very caring owner always willing to work with you for the best deal."